Dr. Damon Dagnone is an Associate Professor in the Department of Emergency Medicine at Queen’s University where he is immersed in numerous simulation-based teaching activities and is the national co-chair of the Simulation Olympiad for the Canadian Association of Emergency Physicians. 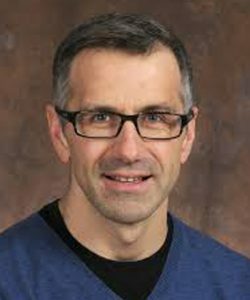 His research interests are principally related to simulation-based assessment and the implementation of competency-based medical education (CBME) within postgraduate specialty training programs. Additionally, he is the CBME Faculty Lead for all 29 specialty postgraduate training programs at Queen’s University and the current chair of the national CBME Faculty Lead group. Dr. Dagnone has two Masters degrees: one in Science from Queen’s University, and a second in Medical Education from the University of Dundee in Scotland. Recent awards include the Canadian Association of Medical Education certificate of merit and the Queen’s University Faculty of Health Sciences Education Award.